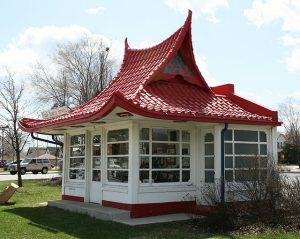 The Eschweiler & Eschweiler architectural firm was one of the most prolific in Milwaukee’s history, designing everything from community spaces, private homes, and places of worship, to industrial factories and commercial buildings. Some of their most notable buildings include the MILWAUKEE GAS LIGHT BUILDING, the MILWAUKEE ARENA, the Wisconsin Telephone Co. Building, the Milwaukee County School of Agriculture and Domestic Economy, and many Historic Water Tower Neighborhood mansions. Alexander C. Eschweiler opened the firm in 1892; his three sons joined him in 1924. 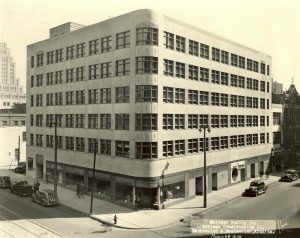 In contrast to their nationally famous contemporaries, the Eschweiler firm was more traditional in style, with a few examples of modernism in the Art Deco aesthetic. 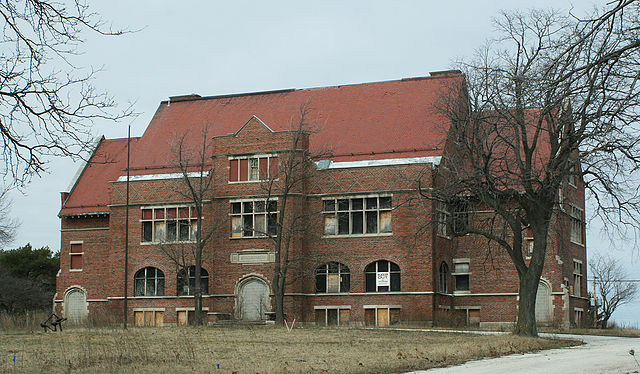 Though many Eschweiler buildings have been demolished, and some surviving buildings have suffered character-damaging renovations, dozens remained standing in the early 21st century. ^ “Eschweiler, Alexander Chadbourne 1865-1940,” Dictionary of Wisconsin History, Wisconsin Historical Society, accessed October 8, 2013, http://www.wisconsinhistory.org/dictionary/index.asp?action=view&term_id=1287&term_type_id=1&term_type_text=people&letter=E. ^ Richard Davis, 50 Years of Architecture: Being an Accounting of Sorts on the Work Done in Half a Century by a Father and His Sons: The Name of These Men is Eschweiler: They Have Been Builders All Their Lives (Milwaukee, WI: Hammersmith-Kortmeyer Co., 1943). ^ Landscape Research, Built in Milwaukee: An Architectural View of the City (Milwaukee, WI: City of Milwaukee, 1983), 90-91, 142. ^ Whitney Gould, “Exhibit Celebrates Elegance, Wit of Eschweiler,” JSOnline, last modified August 6, 2007, accessed October 8, 2013. Davis, Richard. 50 Years of Architecture: Being an Accounting of Sorts on the Work Done in Half a Century by a Father and His Sons: The Name of These Men is Eschweiler: They Have Been Builders All Their Lives. Milwaukee, WI: Hammersmith-Kortmeyer Co., 1943. “Eschweiler, Alexander Chadbourne 1865-1940.” Dictionary of Wisconsin History. Wisconsin Historical Society. Accessed October 8, 2013. http://www.wisconsinhistory.org/dictionary/index.asp?action=view&term_id=1287&term_type_id=1&term_type_text=people&letter=E. Gould, Whitney. “Exhibit Celebrates Elegance, Wit of Eschweiler.” JSOnline. Last modified August 6, 2007. Accessed October 8, 2013. Landscape Research. 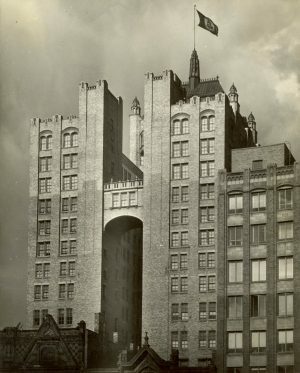 Built in Milwaukee: An Architectural View of the City. Milwaukee, WI: City of Milwaukee, 1983.